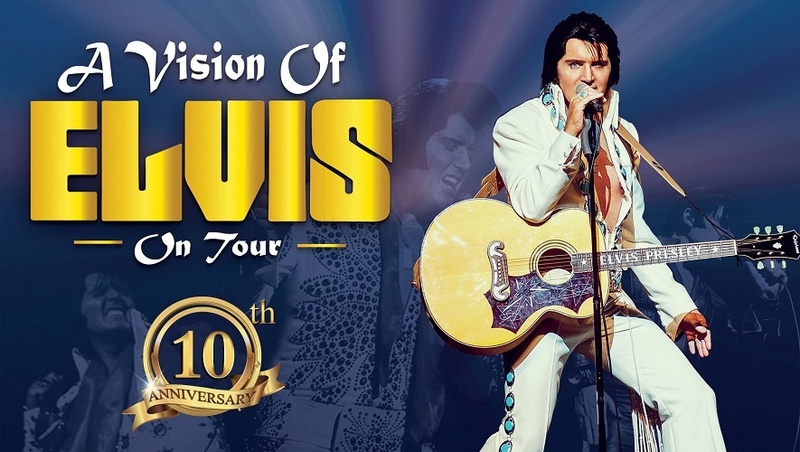 Due to the ongoing restrictions around the theatre caused by the major fire in Glasgow city centre, A Vision of Elvis has been rescheduled from Saturday 24th March to Sunday 30th September 2018 @ 7:30pm. Please note that we will be sending out new tickets for this over the next few weeks and it will be for the same seats that you originally purchased with the new date printed on them so for security, we ask that you destroy the originals as they are no longer valid. However, we understand that the new date may not suit everyone; therefore we are offering refunds to anybody who cannot attend on this date. We therefore ask if you can return the new tickets, once you receive them, by post to Pavilion Theatre, 121 Renfield Street, Glasgow, G2 3AX. If you purchased your tickets by credit or debit card, then we will process this refund directly onto the card you used for the original purchase once we receive the tickets. Unfortunately, at this time, we cannot do any cash transactions as the box office as the theatre remains closed with no access for staff or customers, our box office staff will contact any customers who have paid by cash to arrange a suitable refund, again once we have received your returned tickets. We apologise for any upset or disappointment this will cause. We would also like to thank all of our customers who have offered this support to the theatre at this time and hope that you are able to join us for a great night out on this rescheduled date. A Vision of Elvis transports the audience on a musical journey from Sun Studios, The Movie Years, ‘68 Comeback’ and a breathtaking Concert Years finale, an experience you will never forget. Voted the Official No.1 Elvis Tribute Show multi-award winning Rob Kingsley is renowned as one of the best Elvis Tribute Artists, performing worldwide to sold out audiences. Ed Bonja, Elvis Presley’s Photographer / Road Manager said “his moves, the voice, the look, the charisma, he even walks like Elvis, I should know I worked with Elvis”. Attended A Vision Of Elvis At Pavillion Theatre In Glasgow, On Sunday Night, The 30th September 2018. The Show Was Great And Enjoyed Rob Kingsley As Elvis From The 68 Comeback Special And At Las Vegas Concert Years! In The Advert On Pavillion Website It Mentioned A Vision Of Elvis Show Was Elvis Through The Early Years Upto Las Vegas And 68 Comeback Special. But We Only Got Elvis From 1968 Comeback Special Into The 1970s Concert. There was an audience member in the Elvis jumpsuit, but wasn’t taken seriously as he was in audience. In The Advert On Pavillion Website It Mentioned A Vision Of Elvis Show Was Elvis Through The Early Years Upto Las Vegas And 68 Comeback Special. But We Only Got Elvis From 1968 Comeback Special Into The 1970s Concert Years. What Happened To Film Years With Army Uniforms And Other Movie Songs? It was a great show to go and see, Rob Kingsley entered the audience and got us to join in with a few songs. The two girls as backing singers kept us entertained too. Thanks for a great night to Rob, his band and two beautiful backing singers! Rob Kingsley didn’t enter the audience, I meant to put, he entertained us and we joined in with some of the songs. I went there with my friend Robert who enjoyed the night’s event tool Would have liked to have seen Rob Kingsley doing Young Elvis in the 1950’s and singing songs from Elvis Presley’s movie career which last night he never done? After attending A Vision of Elvis at Pavillion Theatre in Glasgow, on Sunday, 30th September 2018. We enjoyed the entire show, but it was just Elvis the Concert Years in Las Vegas and 68 Comeback Special. It said on advertising that it was Elvis through the early years upto Las Vegas. We weren’t disappointed, it was still an entertaining event. Thanks to The Pavilion and Rob Kingsley for a great night. And thanks to his band and two beautiful backing singers too!